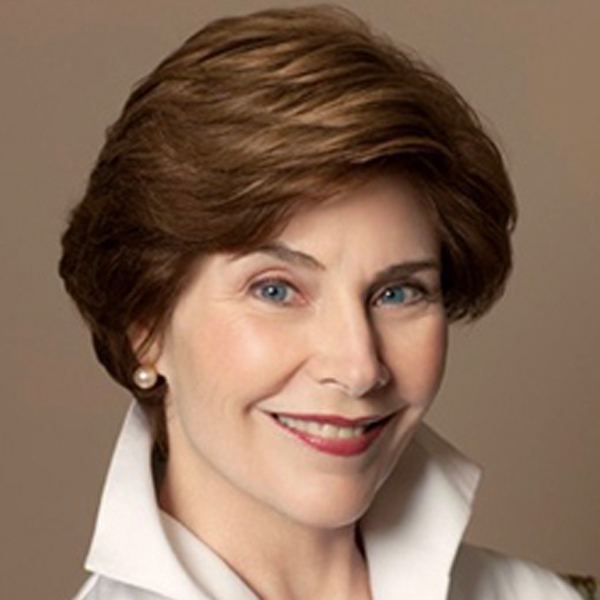 Laura Welch Bush served as the First Lady of the United States from 2001 – 2009. For decades, Laura Bush has championed key issues in the fields of education, health care, and human rights. The author of the bestselling memoir, Spoken From The Heart, Mrs. Bush also founded both the Texas Book Festival and the National Book Festival in Washington D.C. Today, as the Chair of the Woman’s Initiative at the George W. Bush Institute, Mrs. Bush continues her work on global healthcare innovations, empowering women in emerging democracies, education reform, and supporting the men and women who have served in America’s military.